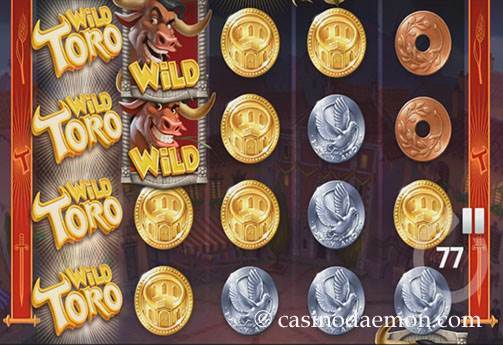 Wild Toro from Elk Studios is a creative slot that features the Spanish tradition of bullfights in its theme. However, this game has a twist, as the bull will certainly not die in this game, and neither will the Matador (he may get frightened though), instead they both can help you win up to 225,000 coins in a single game. The symbols are drawn with a lot of attention to detail, and it is a lot of fun to play this entertaining game. The special features include walking wilds and re-spins. 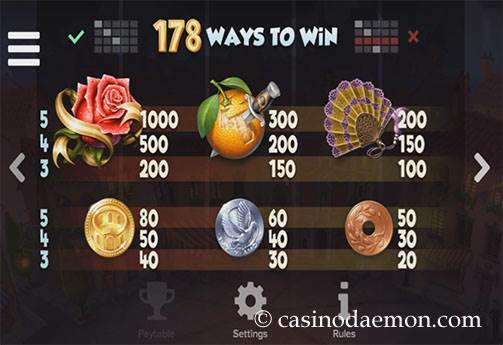 The variance of the slot is medium, and you will probably get winning combinations regularly. However, it is the special features where you can win most of the money, so it might be worth playing this game for a little while. The theoretical return to player is 96.4%, which is average for an online slot machine. You can also play Wild Toro mobile on your smartphone or tablet computer, as the game was developed in HTML5 and is compatible with multiple devices. 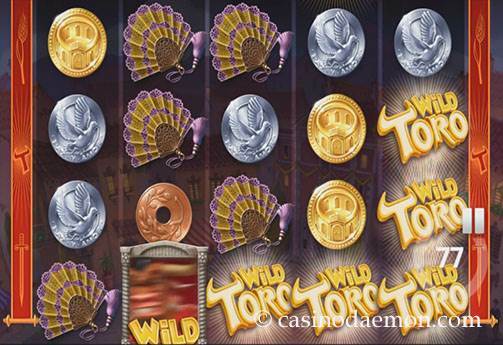 Here you can play Wild Toro slot for free, and try the demo version of the game. If you like the slot you can also play it at one of the online casinos listed on this page, and try your luck for real money. The game has a wild symbol with the name of the game, which stands in for other symbols to create winning combinations, but it does not replace the symbol with the bull or the Matador. The bull symbol can appear on reel 5 and is a walking wild. Just like a real bull would storm across the arena, the wild symbol moves along the reels. You will get one re-spin with each step of the wild symbol until it leaves the screen to the left. If you get a Matador on the screen, while the bull is moving the bull will move towards him vertically and then horizontally leaving wild symbols in its path, and then knock away the Matador and turn him into an another wild symbol. If you get just three Matador symbols on the screen, and there is no bull present you will get another re-spin for a chance to get a bull on reel 5. The many wild symbols make this game very interesting, and it usually does not take very long to trigger the feature. You can also get more than one wild bull on the screen, which can lead to some fantastic winnings. 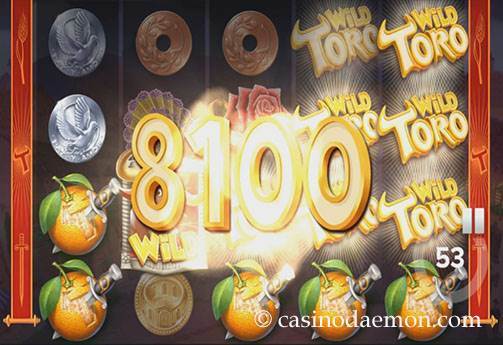 The Wild Toro slot from ELK has 5 reels with 4 rows and 178 ways to win. The game is played with 100 coins each spin, and you can choose a minimum stake of £/$/€ 0.20 per spin and raise it up to £/$/€ 100. You can also select betting strategies and automatic play.